To escape her cruel stepmother, Lu Zhen enters the palace as an attendant. She was quickly promoted through the ranks for her pottery-making skill. During this time, she captures the heart of crown prince Gao Zhan. However, she can never be with him as social status and jealous enemies work against her at every turn. She devotes herself to politics and helps Gao Zhan defeat a coup d'etat. Though Gao Zhan can not make her his empress, he bestows her with the highest position in the land, the female prime minister. 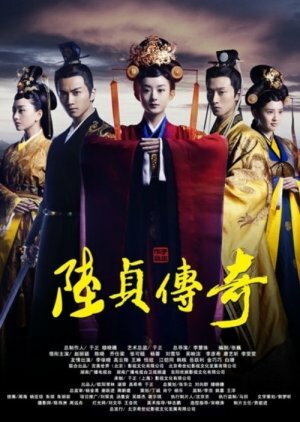 This is my second review for a Chinese historical drama, I'm glad it's for ''Legend of Lu Zhen" and what's more a drama with my dear Zhao Zanilia, she's absolutely gorgeous and I think I could watch anything with her . The story is pretty good , and it's easy to follow Lu Zhen and Gao Zhan's journey even if it's not all rosy for them as they constantly fight for their love and for being happy like any other couple. My review will be a bit long , I only wanna say what I think about this drama : the good/ bad points and my opinion about the characters because there are so many good and evil ones here. -The cinematography is absolutely stunning , and I think that everyone would agree with me on that aspect, I love taking Screeshots , and for this drama I had many opportunities to do that and then contemplating those awesome landscapes and gardens in the palace . -I have nothing to say about the acting , all the actors did their part , the ones that are supposed to be evil are really evil and we hate them so much that we only want to see them dying in atrocious sufferings because that is the only thing they deserve , as for the good ones I wanted to see them rise and stand for themselves ( is not it, Lu Zhen ? ) . -The show is really addictive between ep 25-54, I was completely glued to my screen and always wanted to watch the next ep , so for that I have no complains even if there are certain things that bothered me . -The main couple : Oh this Gao Zhan , he is such an admirable man who did everything to show his love for his dear Lu Zhen he was not afraid to claim his love for her , only at the beginning he was hesitant because he was afraid that Lu Zhen's safety would be compromised . -Lu Zhen , I really admire this girl who was able to climb the ladder very fast ( of course she had many supporters without whom it would not have been possible but she was a smart girl and because of that she succeeded in everything she did ) , my only problem with her is her naiveness , how is it possible to believe everyone and think that from one day to the next they became reliable , I just say No No No ! -Too many schemes in this palace and always the same who suffer greatly . -Too many deaths , of course in this kind of drama it is unavoidable but that was so rushed , and it always makes me laugh when a character dies for the sake of friendship , but of course that's only a fiction so we forget about it . -Characters that are overly obsessed with something that is not their property. -Music , it was always redundant , come on ! 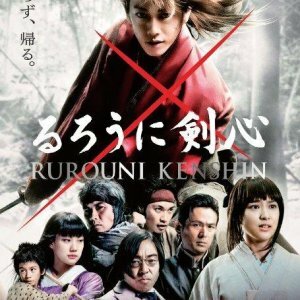 Nothing striking and that's a pity , because in Historical dramas the ost is supposed to have a significant place and makes the scenes more memorable or I would say more captivating but that was not the case here ! -Men are not enough represented in this drama and that was really missing , yes I'm a gurl and of course that bothered me ;D But in counterpart we have 3 adorable and faithful men , so I'm fine with it . As for characters I'll go to the essential . And be careful it can contain spoilers , I'm not the type who can write a review without spoiling , so I'm warning you ! \\\\\\\\There are so many great characters who made the drama more appealing and interesting , of course I loved the main couple , how they trusted and cared for each other , that was simply great to watch . I was always smiling when they were together because it was full a passion and it felt so real ! But actually there are other characters that were shining and even more than Lu Zhen because they were complex and really well written and the one that comes to my mind right now is none other than the wonderful Huan Yun, she's such a great woman full of hartred at the beginning but she grew up to becoming a beautiful woman with a big heart , she started to understand the man who is next to her since forever and I think that's why she bacame the understanding Empress we got to see at the end . I would lie if I say that I did not hate her but it was only in the beginning when she was crazy and did not wanted to face the reality . I particularly like the emperor , how he is nothing like his horrible mother , such a gentle man always willing to give a hand to the ones that are worth of his help , he is also the most caring husband I've ever seen in dramas , and for that he goes to my all time favorite supporting actors ! I also loved his friendship with Lu Zhen he was so protective of her , helping her as much as he could because he was aware of her true value. Of course , Shen Jia Yan was among my favorite characters too , I was happy to see a man like him around Lu Zhen . So I talked about the 3 main guys , they were all fantastic and I remember the first time I saw Shen Jia Yan I screamed with joy, I was so happy seeing another MAN in this drama full of women , oh my what a relief ! So This is a drama I will only recommend for those who don't care about watching a drama that shows cruelty in all its different states and who are not looking for some sweet romance , but it's enough to read the synopsis and you'll definitely know if it's for you or not . 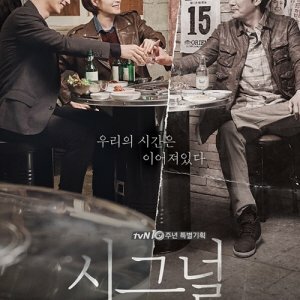 As for rewatching value I would gladly rewatch ep 25 to ep 54 as they were really addicting , according to my opinion . 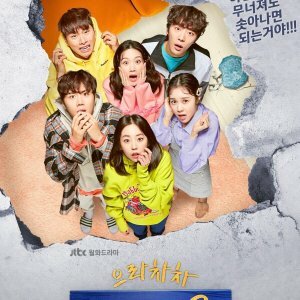 I just have few words to say about my rating , I hesitated between 8 and 8.5 because I found the drama to be very captivating but there are so many things that seemed very strange at least for my taste so I decided to be 100% objective and give a proper rating .